The third installment in the series of fighting games started in the nineties. The game was developed by Double Helix Games, creators of Green Lantern: Rise of the Manhunters and MX vs. ATV Reflex. As usually in this genre, the player controls a warrior of his choosing and fights against artificial intelligence or other players. Among the available characters are many interesting choices, including some known from previous installments of the series, such as Thunder, Jago, Sabrewulf and Glacius. The warriors have varied looks, different special abilities and preferable tactics. The gameplay is action focused. The duels take place on varied arenas with hand-drawn backgrounds filled with many animated elements. During the very dynamic fights the players can perform various combinations of attacks, blocks and special moves. Expanded social functions are important part of the game. They allow challenging friends and organizing private tournaments. It is also possible to share movies recorded during the game. Visuals of Killer Instinct combine elements of 2D and 3D graphics. The developers used cel-shading technology. This made characters and locations have a comic-like look. During the game dynamic background music accompanies the player. 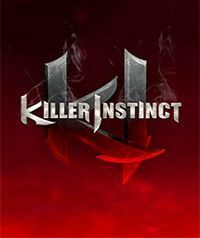 Notably, when the game was released on personal computers, Killer Instinct started supporting cross-platform games between the users of PCs and consoles.